Jeffery's chiots. . Wallpaper and background images in the jeu de rôle aléatoire club tagged: rp anime cute. 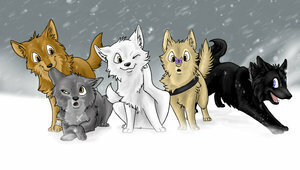 Aww, their from Wolf's Rain and are so cute!